Support your community and your commitment to public service in a visible and impactful way by volunteering as a drop box closer. Drop box closers are the friendly face the public sees on Election Day and allow voters to experience the excitement and camaraderie of the voting process. State law requires that ballot drop boxes close at 8 p.m. Election Day. Drop box closers provide customer service and assistance to voters returning their ballots to a drop box on Election night. King County Elections has rapidly expanded our ballot drop boxes from 10 to 66 over the last three years. Using volunteers increases our operational capacity and offers King County staff an opportunity to volunteer and serve their community in a new and visible way. 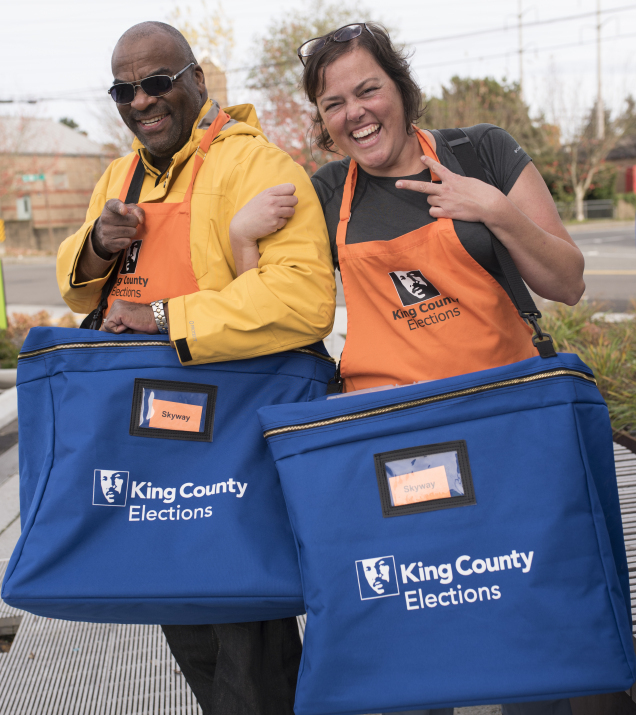 For the first step in our pilot program, King County Elections is looking for a small number of volunteers to help with the Special Election on April 23, 2019. Learn more.